A new shipment is on the way from our supplier. If you order this item today, it should arrive between 04/28 and 04/30. The ancient Indian system of healing and medicine known as Ayurveda has proven effective in disease prevention and health creation for thousands of years. 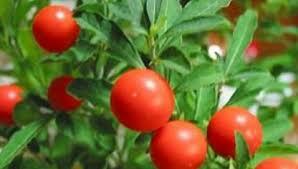 Ayurvedic medicine works by enlivening the bodys inner intelligence and enhancing the immunity of the individual. It treats the disease at the source rather than the symptoms alone, without adverse side effects or creating a new disease. Popularized in the United States by Deepak Chopra and the Maharishi Mahesh Yogi, Ayurveda has become well known and is used extensively throughout North America as a holistic alternative both to allopathic and to homeopathic medicine. 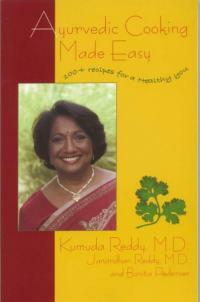 In this comprehensive guide to Ayurvedic cooking"complete with a set of delicious and easy-to-make recipes"physician and naturopath Dr. Kumuda Reddy shows you how to determine whether your body type is vata, pitta, or kapha, so that you can optimize your individual health through healthy and nutritious meals that suit your body type.